In a large bowl, mix together the LC-Biscuit & Pie Crust Flour, baking powder and salt. Cut in butter and shortening with a pastry blender until mixture resembles coarse crumbs. Add water, one tablespoon at a time, and lightly toss with a fork. Add only enough water until dough forms a ball. The dough will be sticky and tough if too much water is added, and it will crack and tear when rolled if too little is added. Chill dough for 30 minutes before rolling. Divide dough into two balls, and toll out each between plastic wrap into a circle 1 inch larger than your inverted pie pan. 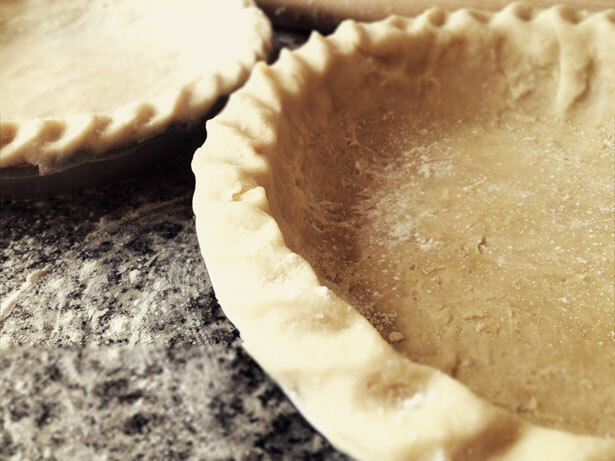 For single pie crust, bake at 400 degrees for 20 minutes. 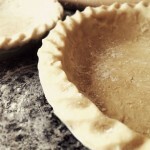 For two crust pie, you may need to use foil around the edge during part of the baking time, depending on your recipe.